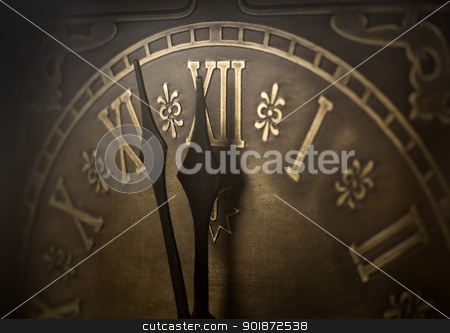 Old clock with roman numerals. Selective focus on number XII and minute hand. Intentional vignetting.